Patented bi-material case for durability and comfort. Patented airlock slide lock enables easy locking. Mylar coating provides 10 times more resistance to abrasion than a lacquered blade. Armour on the first 6" of the blade reduces the risk of breakage by 95%. High visibility 32mm wide blade with large, easy to read graphics provides 4m stand out. 3 rivet end hooks increase blade strength by 40%. 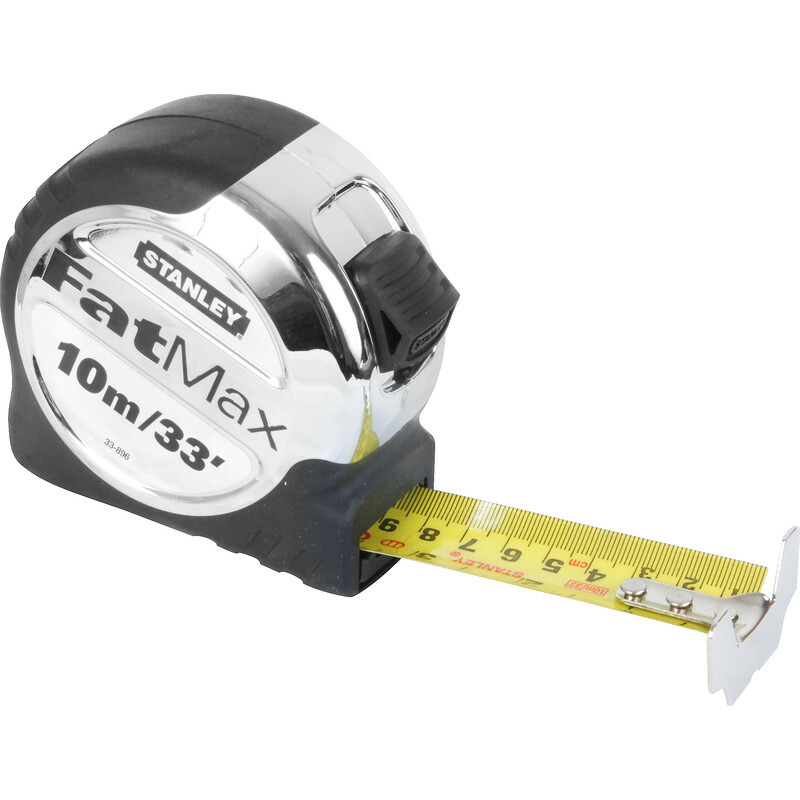 Stanley Fatmax Pro Tape Measure 10m is rated 2.0 out of 5 by 1. Rated 2 out of 5 by Lamby75 from Not as good as the 5 m one Bought this to replace a broken 5 m one , when I opened it out it didn't retract back in .